This pretty wicker tray houses a sampling of some of our best sellers including a 2 lb. 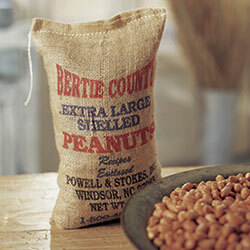 burlap bag of Roasted and Salted Peanuts, a 2 lb. 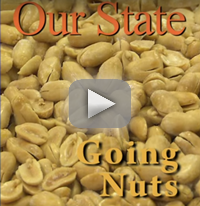 burlap bag of Raw, Shelled Peanuts and a 10 oz. jar of our Blister-Fried Peanuts. Special tray never got there! 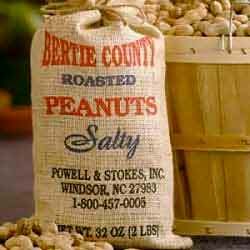 Though we are attempting again to get this Christmas present to my sister after the fact, I'm disappointed it didn't get there by Christmas because our order to our house got here & I have had Bertie County PNuts send her things before, and never had a problem! Owner Response:We are investigating the issue. We've never experienced this problem before, and we are discussing it with FedEx. We are re-shipping the product today, and we are refunding your original purchase price. Better than the other places i have bought from. 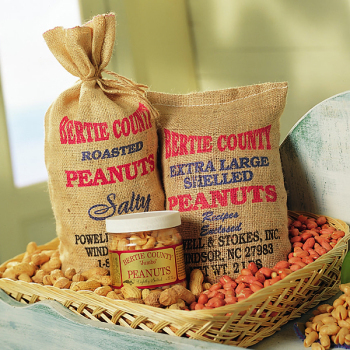 I go to Ohio 2 times a year and on the way back from Florida I stop in GA. all the time looking for salted and other trays with jellies, I found Bertie County peanuts and have been making big purchases from them since. Order arrived in 2 days, Great Service and Best Tasting Peanuts in the South!